Inspiring Ideas with artist Jeanne Winters: GIVEAWAY! My Art is an App! GIVEAWAY! My Art is an App! Inspiration at your fingertips! :-) Scripture paintings for your iPhone/iPod Touch!! 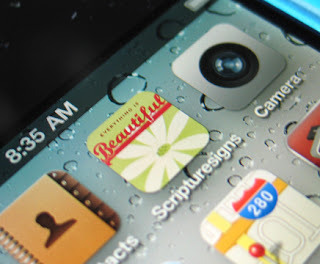 10 of my vintage inspired Scripture Signs have been made into an app. 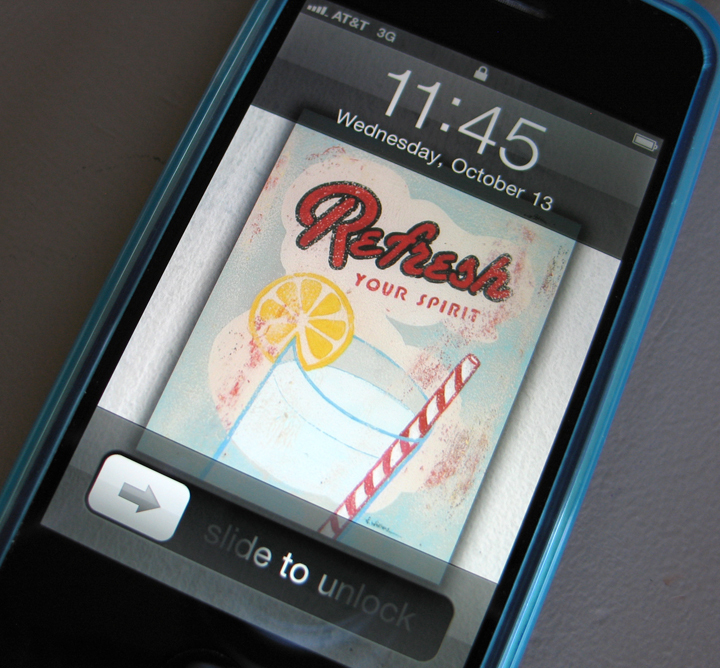 So you can put my art on your unlock screen or background of your iPhone or iPod Touch! Enter to win a free download by leaving a comment on this post. You can also have another chance to win by becoming a "fan" on the "Jeanne Winters" facebook page and "liking" the giveaway post over there! Check out "Scripture Signs by Jeanne Winters" in iTunes. It's only 99¢!!! Thanks all! Please enter me for the contest. I'd love to have your art on my iPod touch. I'm so excited for you AND I would LOVE to be the lucky winner!!! I'd love to win your app! I love your artwork! This is so cool! I don't have an iphone or ipod but would love to see your art on it if I did! Wow, I don't have an iphone, but my daughter is *maybe* upgrading to the new one. If so I'll get her hand-me-down! Yay, I'd love to win your art! Those are super cute! I would love to have the app. I am so excited as I love your art and would love to have it on my Iphone. Your retro pieces are really cool. Also, I was looking at your etsy shop, wondering if that "Bless Our Nest" print comes in a bigger size? yippee! congrats jean! they look GREAT! i don't have an iphone either, just wanted to say good job. they are lovely. Wow! That's so cool! I am still a flip phone user... (Would you believe I have never even texted?) So, count me out, bu I had to tell you that is so cool!